Here we go again. It seems to be a week of watching shining lights dash into the heavens. Alan Rickman was, to me, a quintessential actor, capable of casting his talent like a magical net upon the story waters. He was a gem, often delightfully deliciously devious or melancholic in his roles. He could pull you into the core of a story, often with such subtlety, that you didn’t know it had happened till the end when you popped out through that looking glass and realized you’d been taken on one hell of a ride. You couldn’t help but love him. His knowledge of his craft shone brightly in everything he did. There are certain roles, certain films, one simply cannot picture without him. And so it goes to say, he will be sorely missed. Rest easy, Alan, and enjoy those stars. And thank you, thank you, thank you! There goes another angel – flying high into those wild beautiful skies – or maybe to some faraway realm. Mork would probably have liked that. 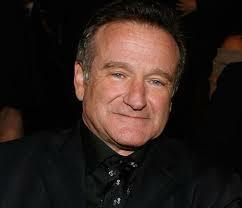 The mad zany wonderful world that was ROBIN WILLIAMS. You are pure genius and you will be profoundly missed. May you be wrapped in love as you make this journey beyond our world, just as you so often wrapped us in laughter, and yes sometimes tears. You and your talent were a gift to us and we are grateful.